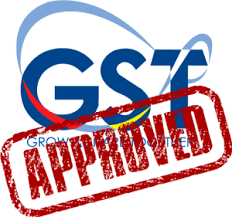 Indoretech introducing a newly launch PAI GST Software for tax accounts and ERP. This software is totally developed for implemented GST taxes of Indian government as per the rules.This is a cost effective and efficient product to all Small, Medium and Large Industries for their command on new taxation system.This PAIsoftware provides the easiest working capability with a maximum working reports.Book your installation Now for the best PAI GST Software. Packaging Details Online services will be provided as per the need. Indoretech has been started with a virtue to provide the best IT Solution with atmost client satisfaction, we provide solution with Technical proficiency and expertise, we cohesively integrate graphic design with web page layout, with interactive programming, with database driven content, to plan, build and deploy e- business and to emerge as one of the top IT service provider. We values our customers and constantly focuses on customer delight by providing them with user friendly software with prompt and reliable service. We are ever in pursuit of excellence in everything that we do through the key features of continuous improvement, teamwork and sustainable mutual development along with our customers. Indoretech is the Software Development Company in Indore which have the capability to build any kind of softwares as on customers requirement. We are working with a strong customer base. Our performance has established a mile stone in Madhya Pradesh in Software Development and related services. Indoretech is the company which uses most advanced technologies which promotes to enhance our terminologies. We are working with highly experienced team to develop software by which we are coming up with fantastic results. We work in areas- product development,website development, web applications etc. Our solutions enable businesses to leverage leading-edge technology to gain sustainable competitive advantage in todays marketplace. Our ingenious procedures, complemented with our resourceful and adept staff ensured that we command a covetable position in the software industry. The trust instigated by us in our customers strengthens every day with our services, and it propels us forward every moment. Customers priorities are always at the forefront at Indoretech. Indoretech has come a long way to achieve landmark in the field of excellence.With the strong belief that "necessity is the mother of all inventions", Indoretech associated closely with people of different trades to understand their necessities and invented application based software to suit their needs. We at Indoretech constantly review our performance, honing up the skills while updating the software packages and services allied to out activities, thus bridging the gap between human intelligence and modern techniques.